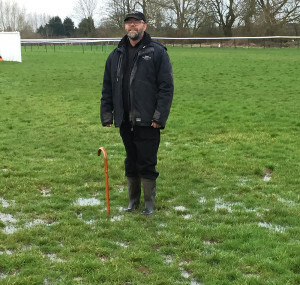 Maintaining a strong, healthy and dense sward over a wet winter period is a headache for any Turf Manager, but for Head Groundsman at Warwick Racecourse Guy Woodward, that challenge is further exacerbated by the impact of horses pounding the flats and taking the jumps. For Guy to achieve any germination and recovery, he needs a seed mixture that can perform under some of the most challenging growing conditions. Guy has turned to new tetraploid technology in the Masterline ProMaster 79 mixture, to deliver just that. Since the decision was made in 2014 to covert to an all-jumps race programme, Warwick Racecourse has established itself as one of the leading, small National Hunt racing courses. 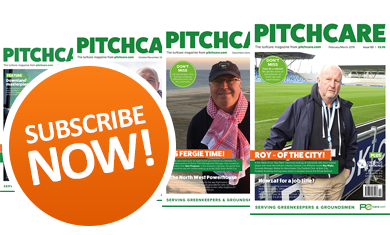 "Our season runs from the end of September to the end of May, with fixtures right through the winter" explains Guy who heads up a grounds team of four. "In a normal season we will backfill with a combination of soil and seed after every meet, as well as moving the hurdles to give the horses fresh ground and helping us spread the wear and maintain coverage." "When it comes to making my decision on seed mixtures, the key criteria is a seed that can germinate late and early in the year. I spoke with Ian Barnett of DLF Seeds and he recommended the ProMaster 79 mixture from Masterline." PM79 contains 50% Double 4Turf tetraploid ryegrass, in combination with 20% Platinum and 30% Esquire diploid ryegrass to offer germination through the tough winter period. "Though we don't expect to achieve masses of growth, if we overseed whilst carrying out our post-meet repairs means we know the seed is there when the time is right, and if we do get any peaks in temperature, we may get some growth." Last year, the months of early rainfall, which left areas of the course badly waterlogged, were followed by warmer temperatures which saw the PM79 mixture once again working well. 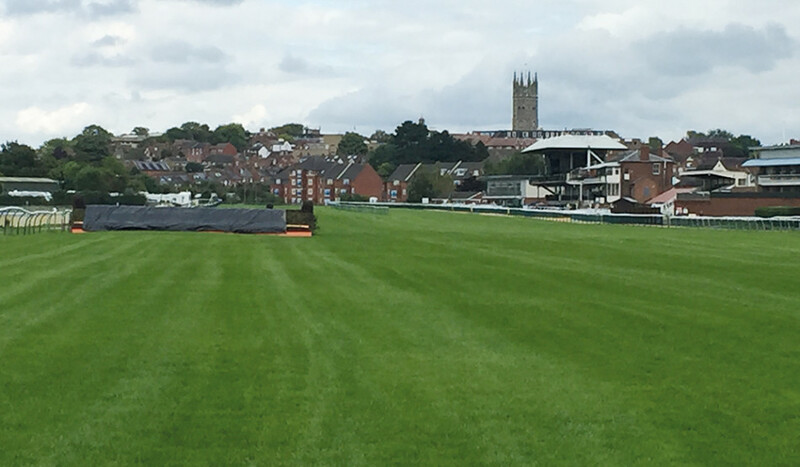 "We achieved the germination I look for and all of the overseeding we did through the winter is showing on the racing lines. 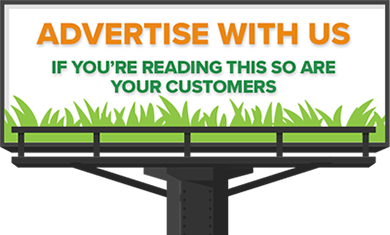 It's thanks to DLF that we seem to have a mixture that's working for us and our requirements, helping to maintain strong coverage even when mother nature does her best to stop us!" Pitchcare are an appointed distributor of the DLF seed range. 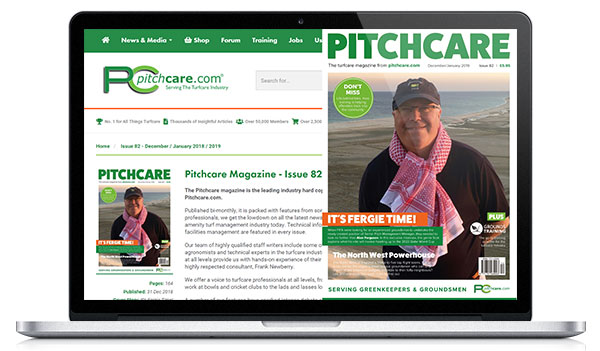 Visit the Pitchcare Shop for more information.